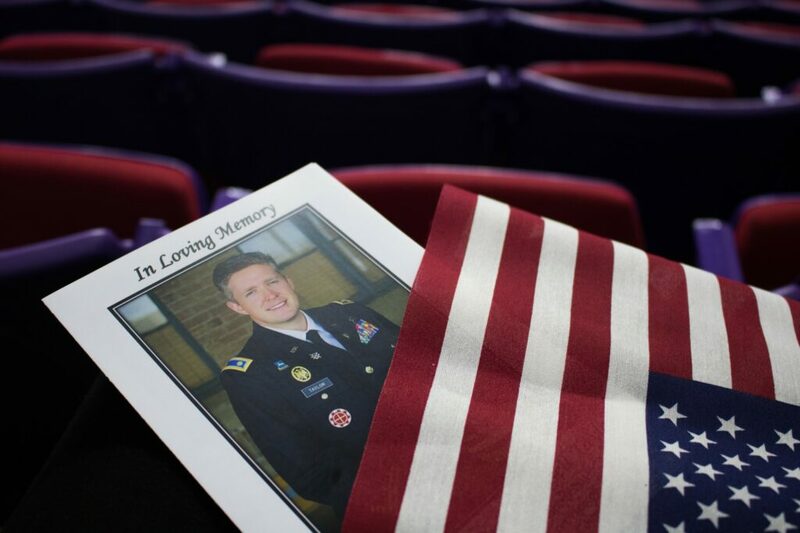 Program and flag handed out at the front door "In Loving Memory" of Maj. Brent Taylor. (Bella Torres / The Signpost). On Nov. 17, Mayor Brent Taylor was laid to rest at Ben Lomond Cemetery. 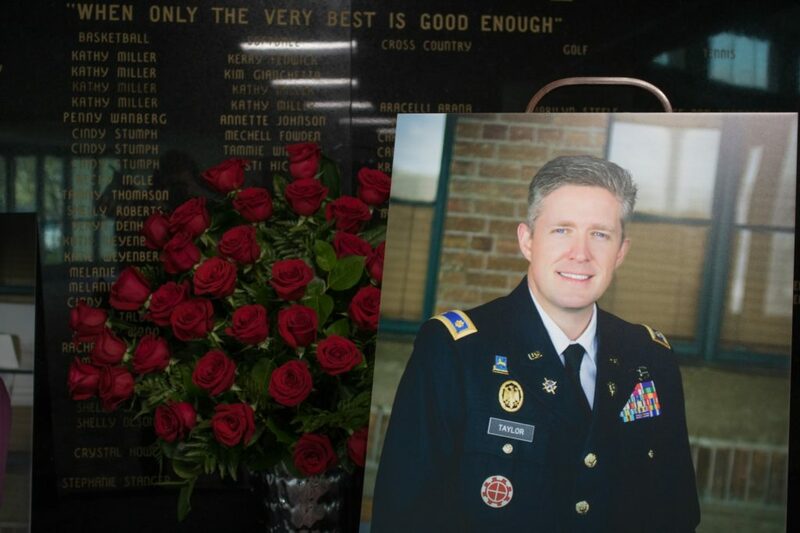 Hundreds of community members and friends gathered to pay their respects to the Utah National Guard Major and father of seven. Taylor was on his fourth deployment when he was killed. He was in Afghanistan to advise and train Afghan forces. 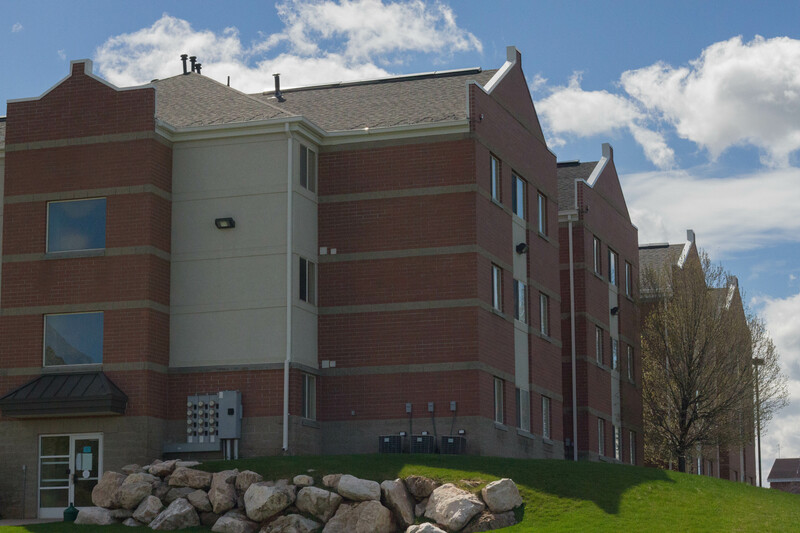 A member of the contingent he was training opened fire during a foot patrol, killing Taylor and injuring another soldier. 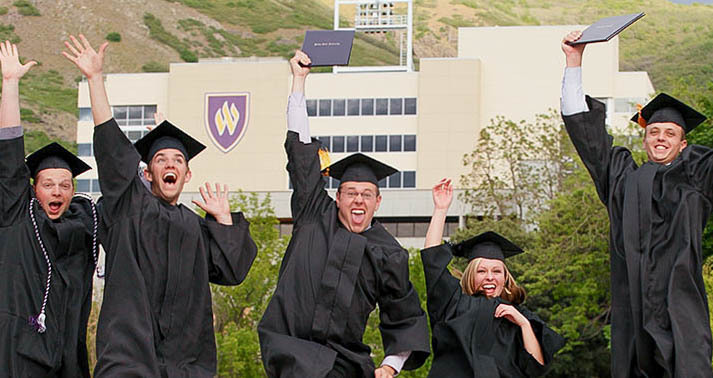 Before the graveside service, hundreds gathered in Dee Events Center for Taylor’s funeral. Toby Mileski, a former mayor of Pleasant View, spoke at the funeral. Taylor and Mileski became mayors around the same time and quickly became close. Mileski said Taylor was a warrior and a patriot, and that he had strong principles as a political leader. Brent Taylor's father beginning his son's procession. (Bella Torres / The Signpost). “No matter where he was, he took a stand for right against wrong,” Mileski said. After the funeral, attendees began a somber procession to Ben Lomond Cemetery. They passed dozens of flags stationed around North Ogden from community members showing support. At the service, Maj. Gen. Jeff S. Burton presented the folded flag from Taylor’s casket to his family. Burton then gave a flag to each of Taylor’s children, the youngest just shy of her first birthday. Through the trees of the cemetery, a giant American flag swayed in the breeze. 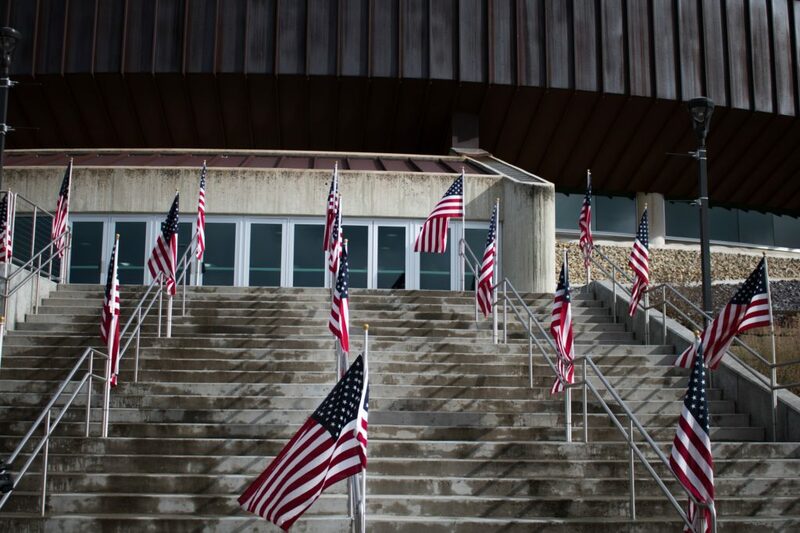 The 400-pound flag, hung in Coldwater Canyon, flew in the memory of veterans and Taylor. It took 140 people to carry the flag up the canyon, where it flew for a week. The flag was hung on Veterans Day to surprise Taylor’s family. Maj. Taylor remained active on Facebook while he was deployed, wanting to remain connected to his constituents. He alerted the community about events in Afghanistan. On Oct. 28, Taylor posted his final message, encouraging Americans to exercise their right to vote. Taylor was killed by a member of the same forces whose bravery he praised. After Taylor’s death, an Afghan pilot wrote to Taylor’s family, asking them not to see the attack as a representative of Afghan sentiments toward Americans. Entrance layout for Brent Taylor's memorial. (Bella Torres / The Signpost). 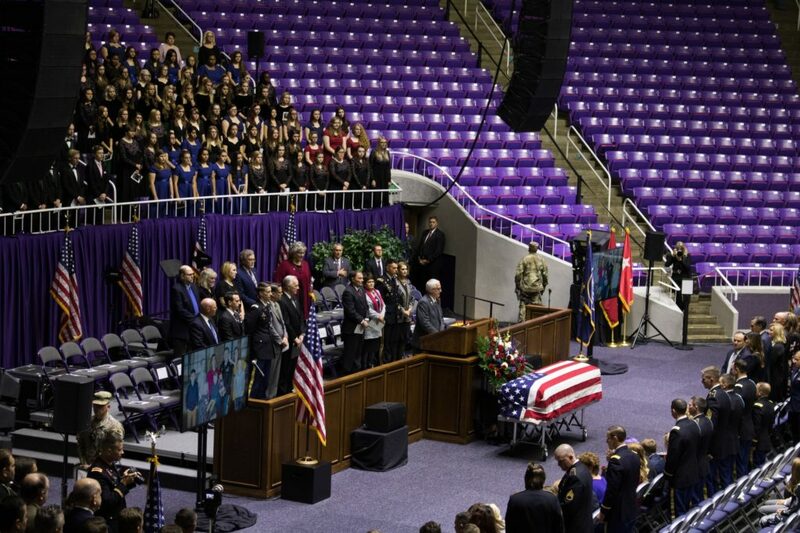 On Nov. 6, soldiers from the Utah National Guard brought Taylor home for the last time. Taylor’s wife, Jennie Taylor, stood in front of Brent’s flag-draped casket to offer a statement about her husband. “Brent may have died on Afghan soil, but he died for the success of freedom and democracy in both of our countries,” Taylor said. On Nov 20, the flag was taken down from Coldwater Canyon and most of the flags disappeared from North Ogden front lawns. The flood of press attention will soon taper off, leaving Taylor’s family to find a way to cope without him. In the wake of heart-wrenching loss for the Taylor family, the community is determined to show that though the ceremonies are over, their outreach is not. A GoFundMe for Taylor’s family has raised more than a half million dollars and meals for the family are planned on a weekly basis. Taylor’s death reopened wounds caused by a 17-year-old war in Afghanistan. In its wake, community members are searching for ways to heal. Taylor’s final message called for Americans to put aside their differences and embrace each other. Only time will tell if his pleas can help a divided America come together.